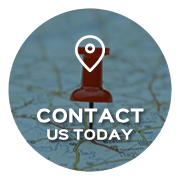 Our goal is to help you feel comfortable and at home while you are visiting with us. 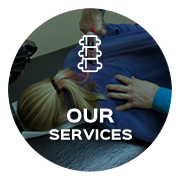 We strive to understand your concerns, pains and needs in order to be able to personalize your care. We look forward to meeting you! Natural Health Care for the ENTIRE Family at Nedd Chiropractic & Wellness Center! 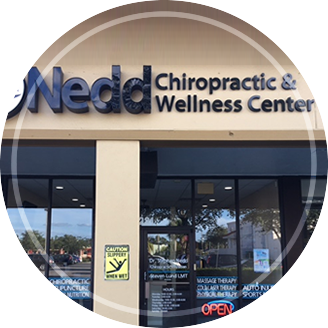 Clearwater chiropractor, Dr. Stephen Nedd has been practicing the principles of natural chiropractic care in the Clearwater area since 2008. His passion is delivering the highest quality of care to his patients by providing the latest in research-based care, using advanced equipment and techniques. Dr. Stephen Nedd also provides animal adjusting and cold laser therapy for small animals at our office. In order to receive this service, you must have your local veterinarian see your pet first and fill out the Animal Adjusting Veterinary Affiliation Form. 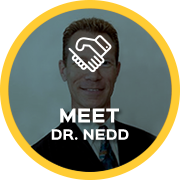 In addition to his family practice, Dr. Stephen Nedd is a sports chiropractor specializing in treating athletes including professionals from the Tampa Bay Buccaneers, Philadelphia Phillies, Toronto Blue Jays, Boston Red Sox, and the Minnesota Twins. 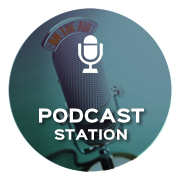 He received a Diplomate certification from the American Chiropractic Board of Sports Physicians in 2014, joining an elite group of just over 300 doctors ever to do so. 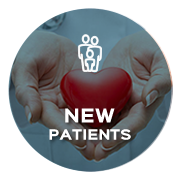 Please give our Clearwater chiropractic office a call today to see how we can help you or someone you know! Dr. Nedd is just great. I am looking forward to working with him and getting well. This is about as good as it gets. Thank you for spending time with me and listening to me. I got more relief in one visit than I did in 6 weeks of physical therapy. Thanks for a great first visit it was very informative and encouraging. Thank you, it was a great first visit and I am confident that my next visits will be as good as the first one. Best I’ve ever been to, I can’t wait to see how I feel after a week. The most thorough evaluation that I have ever had, and I have been treated by chiropractors all of my life. Dr. Nedd is very attentive and courteous. I felt so much better when I left the office. 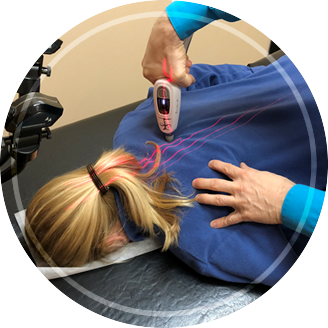 I have had back issues for more than 30 years and I am always looking for new ways to improve the health of my back. Dr Nedd was able to give me additional tools to do just that! Thank you Dr. Nedd for your expertise. My first visit experience is outstanding Thank You Dr. Nedd.